CDT Audio is offering a limited quantity specially designed audiophile 2-way component system during a limited time at 50% off regular retail price. 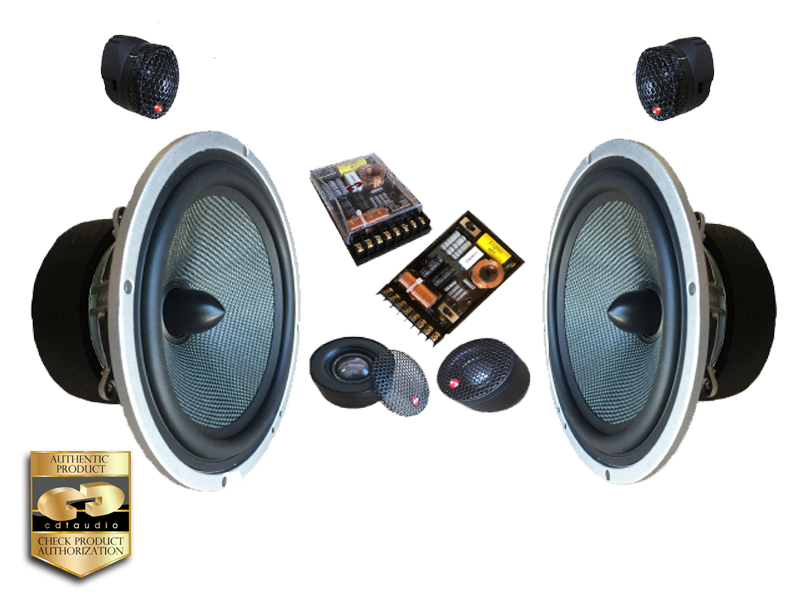 Whether you go solo or decide to use a guide, your journey to awesome sound begins at CDT Audio ES-GOLD Series. Kevlar high-power long excursion mid-woofer. The ES-GOLD Series Special Anniversary System ES-CRM62AS is your portal to the best and fastest solution to premium full fidelity world-class automotive sound systems. From an extensive list of CDT Audio top-quality audio components, only the best have been selected for exclusive distribution under the CDT Gold banner. With CDT GOLD premium components and revolutionary sound-stage recreation philosophy, no-compromise sound systems can be realized. When you buy CDT ES-GOLD Series, you get full support for your custom installation, with extensive on-line help and technical consultation, including personal voice communication, at our toll-free help-line, to virtually assure optimal results. 10 year limited warranty.